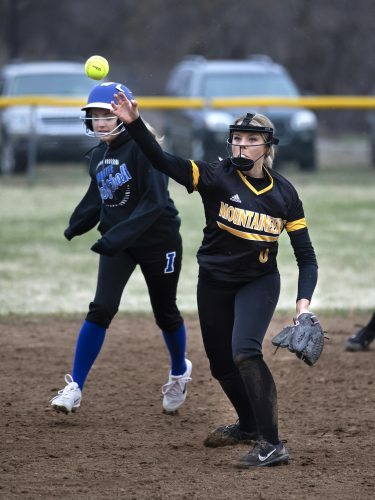 IRON MOUNTAIN — A walkoff win helped Iron Mountain split a doubleheader against Manistique in Mid-Peninsula Conference action on Tuesday. The Mountaineers (4-2, 2-2 MPC) pushed across the winning run on an Emeralds error to win the first game 12-11. In the second game, Iron Mountain left 10 runners on base in a 6-5 loss. Manistique’s Lexi Russell reached base on a walk in the top of the seventh and scored on a passed ball. Iron Mountain loaded the bases in the bottom of the seventh but Manistique escaped with a strikeout to end the game. 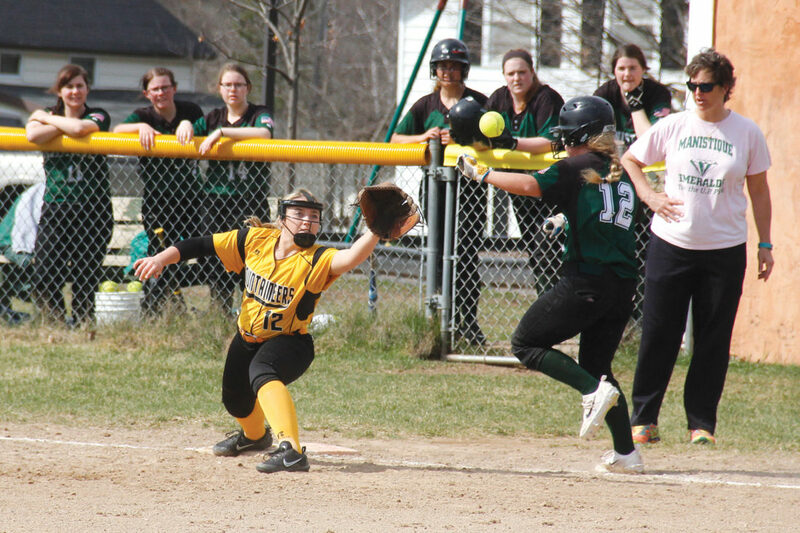 Renee Schuetter, Amanda Menominee, Russell and Maddy Krootz each had an RBI for Manistique in the second game. Schuetter and Russell each had two hits. Both of Russell’s hits were doubles. Iron Mountain’s Kaitlyn Henderson, Saylor Swartout and Jorden Stoner all went 2 for 4 with an RBI. Reighan Johnson was 3 for 4 and Brooke Fornetti was 3 for 4 with an RBI. Henderson pitched the entire second game for Iron Mountain. 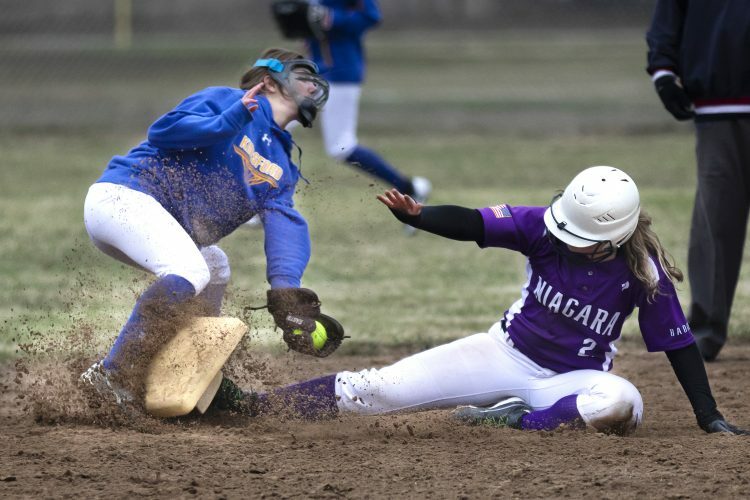 She gave up six runs (four earned) on nine hits and five walks with a strikeout. Menominee pitched a complete game for Manistique, giving up five runs on 16 hits with no walks and two strikeouts. In the first game, the Mountaineers piled 14 hits, including Johnson’s 3 for 5 game with three RBIs. Fortner was 1 for 5 with three RBIs. Emma Thomann was 2 for 4 with two RBIs. Paige LaPoint had an RBI and went 2 for 4. 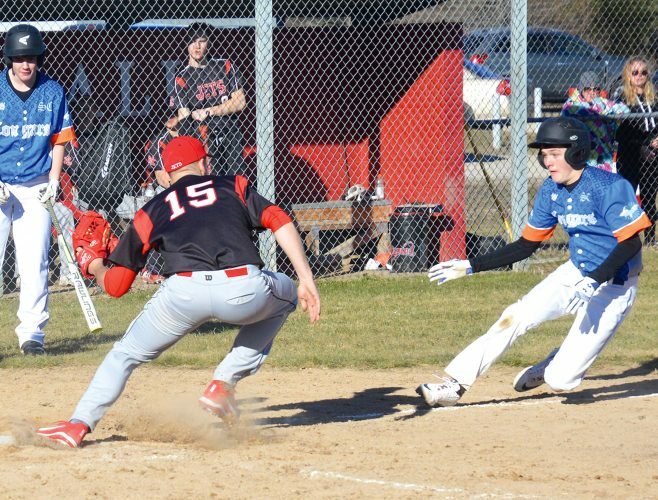 Swartout scored the winning run when a Manistique throw to first for the third out brought the first baseman off the bag. Iron Mountain took a 2-0 lead in the second before the Emeralds responded with four in the next half-inning. Iron Mountain mirrored with four runs in the bottom of the third to take a 6-4 lead. The Mountaineers added two in the fourth and three in the fifth. Manistique scored one in the fifth and piled on six runs in the sixth to tie the game at 11-all. Menominee also pitched the first game, giving up 12 runs (nine earned) on two walks and six strikeouts. Iron Mountain plays at Kingsford on Thursday.